More and more businesses are migrating from the legacy system to the cloud technology. Even in the cloud technology, their choice is private cloud technology over public cloud. 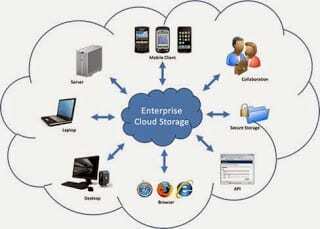 Reason being, private cloud is dedicated to the needs and goals of their organization. It delivers similar advantages to the public cloud, including scalability and self-service, but through a proprietary architecture. Unlike the public cloud, the private cloud is dedicated to fully meet needs and goals of a single organization. Furthermore, it enables you to have control over it with dynamic or unpredictable computing needs, and you can customize it according to your business requirements. Consequently, private cloud is the best option for businesses typically to meet security, business governance or regulatory compliance requirements. Let’s dig deeper and get insights into the private cloud server; then we will discuss why you should transition to it. In addition, you can customize it from dedicated resources over a computing infrastructure hosted on-premises. This cloud technology also provides you with a higher level of security and privacy through both internal hosting and company firewalls and ensures that your sensitive data and operations are inaccessible to third-party providers. Infrastructure as a service (IaaS): It is designed to allow you to use infrastructure resources, including compute, network and storage as a service. Platform as a service (PaaS): It enables you to deliver everything from simple cloud-based applications to sophisticated-enabled enterprise applications. Now, let’s discuss why you should transition to the private cloud server. When we talk about private cloud server, it means dedicated server. The safety of private cloud is dependent on many factors. If you have implemented the appropriate physical security and put all firewall rules in place, you can protect your data. The private cloud computing lets you know where your servers are located. You’ll know about all physical and networking security. You can also meet the service provider in charge of providing support for your hardware and if you like. Virtual technology has increased the value of the physical server or hardware. With it, businesses don’t need to place many equipment and servers. Instead of having five physical servers than average 10% CPU utilization, you can choose to virtualize all the five servers on one physical server. So, you don’t need to worry about a large space, power usage, rack space, etc. If you have installed all the essential management tools, you can automatically allocate the appropriate resources to a server. One of the most important benefits of cloud computing is better flexibility. And with private cloud technology, you can spin and tear down a server in a matter of minutes. It’s extremely powerful and useful. You don’t need to size server beforehand when you are able to create a server in the cloud. No need to have more disk space, more RAM or More CPU. The private cloud computing not just lets you enjoy full benefits of security and virtualization, but it is also more affordable and hassle-free than hosting your servers or buying dedicated servers. No matter whether you have two or you require more than seven servers, you can get it done with virtualization. And with the private cloud server, there is no risk of data loss or hacked. With the private cloud servers, you can happen to enjoy dynamic, comprehensive and management solutions. A good service provider can help you manage your cloud computing requirements and manage your servers 24/7, every day of the year. After an in-depth analysis of the private cloud, it can be said that it is not for everyone. If your business is associated with a managed data center operator, then only you can make the transition to private cloud computing at an affordable process. This will allow you to fully experience all of the significant benefits of the private cloud.